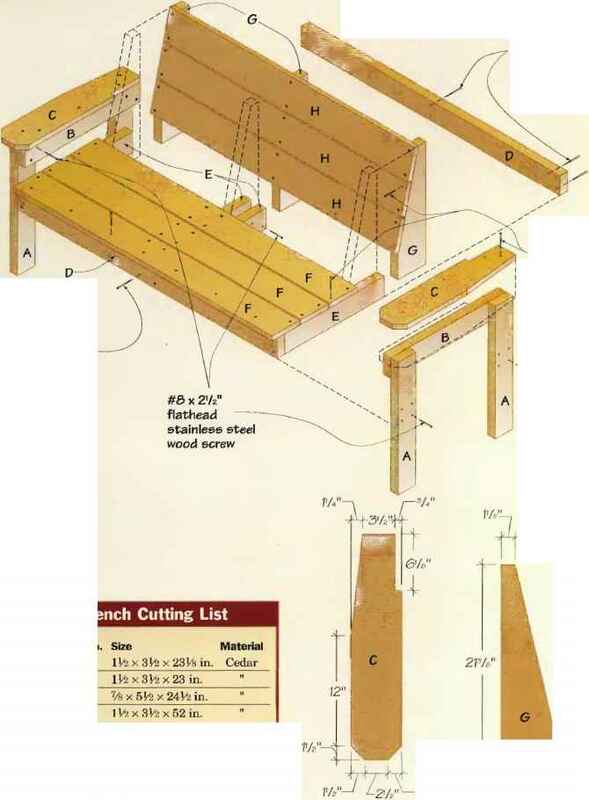 O Crosscut the seat frame front, back, ends and two stretchers to length, according to the Cutting List dimensions on page 370. 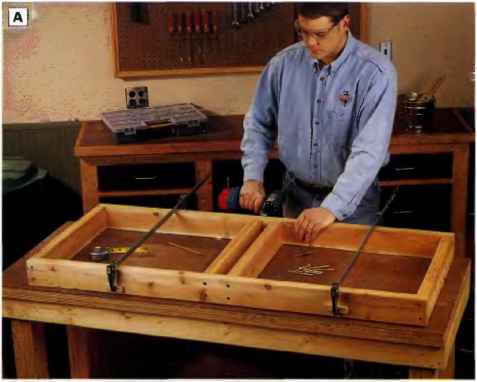 PHOTO A: Build the bench seat frame by fastening the front, back, ends and two stretchers together with 3-ln. countersunk deck screws. © Assemble the seat frame front, back and ends. Arrange these parts so the outside faces of the frame ends are flush with t he ends of the frame front and back pieces. Clamp up the parts. Drill countersunk pilot holes through this frame front and back pieces into the frame ends, and fasten the parts with 3-in. deck screws. lVii x 3 Mi x 23Vii in. % x 5^ x 24Mi in. 1 Vi x 3Vâ x 52 in. m x 3 M: x 20 in. % x 5Vz x 52 in. H. Back slats 3 %x5Vfcx49in.